What's this - Starbuzz has gone to the dark side and this is definitely the dark leaf tobacco we were looking for! 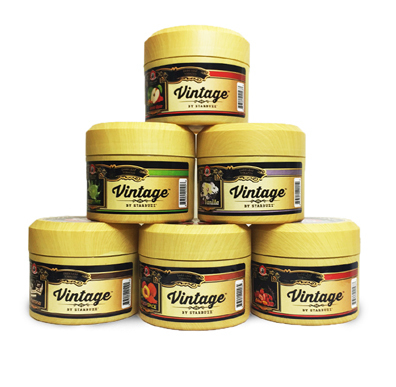 Starbuzz Vintage Premium Flavored Tobacco brings us everything we loved about the original Starbuzz with a darker leaf tobacco that is a fine to medium cut and comes with an added kick. This particular line of hookah tobacco is unwashed so it packs more of a punch than its predecessors but no need to worry, the only thing that will have your head spinning is how spot on these flavors actually are. There's no better way to say it: the taste is strong with this shisha! Starbuzz Vintage is packaged in 250 gram jars with wood grain effects on the outside giving it a very classy look that suits the name well. 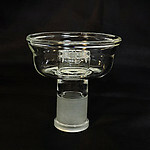 It allows Hookah users to smoke several times a month or with large groups of friends. This size is packaged with a secondary inner package that is sealed for freshness. The tub is resealable and will keep your shisha fresh so long as you store in at room temperature. Starbuzz Vintage is fairly juicy but pretty versatile in how you pack it so feel free to experiment. Generally speaking, the denser the pack the stronger the tobacco notes but I wouldn't go any further than a semi-dense and I recommend doing a slight under pack in a phunnel bowl. The heat management can get slightly sensitive so it is recommended to start with 2 hookah coals depending on the size of the hookah bowl you are using and work your way up to prevent it from turning harsh.